When performing the system software update, please use a fully charged rechargeable battery pack (NP-FV70A) or dedicated AC adapter. Do not remove the battery or AC adapter during the update. Otherwise, the camera may become inoperable due to the sudden power shutdown. Remove the memory card/memory recording unit from the camera beforehand. 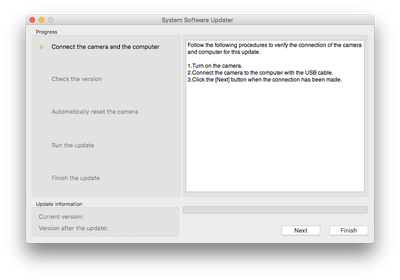 Do not connect the camera to the PC with the USB cable (supplied) until instructed. The file [Update_FDRAX700V101.dmg] file will start downloading. 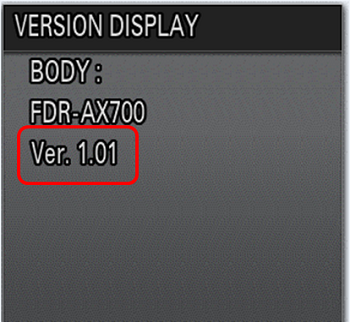 Double-click the [Update_FDRAX700V101.dmg] file you downloaded. Do not connect the camera at this point. 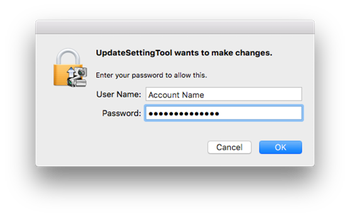 Double-click the [UpdateSetting Tool] icon. If a system message displays, click [OK] to close. 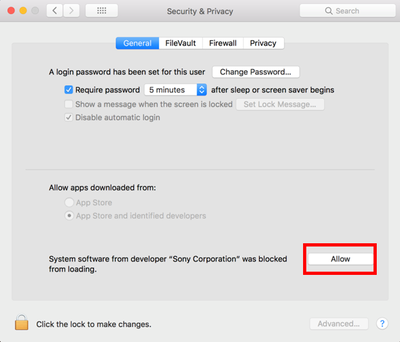 Read the "Sony Corporation" system software. If the security and privacy screens remain displayed, please close the window. Check [Security and privacy] and click [OK]. The following procedure will be displayed. A dialogue box for the USB connection will be displayed. Connect the camera to the PC with the USB cable (supplied) and click [OK]. Please enter the password to log in with the administrator account. 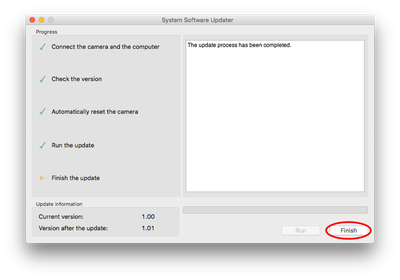 Click [Next] on System Software Updater. 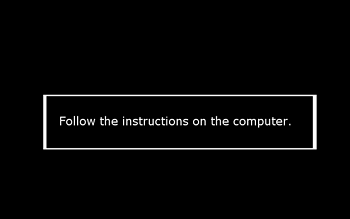 At the same time, the message "Follow instructions on the computer." will appear on the LCD screen of the camera. Note: Do not turn off the camera until the system software update has completed. After confirming the current version on the screen, click [Next]. After resetting, the update starts. The progress bar appears while updating (approximately 10 minutes). 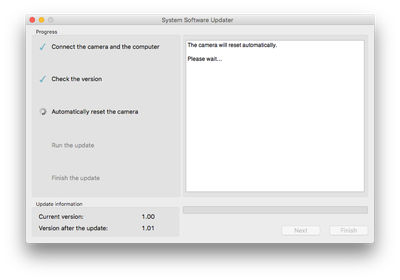 Note: Once the update is complete, please set the date and time to set the camera body power cycle. Select [Menu] - [OTHERS] - [VERSION DISPLAY] on the camera. 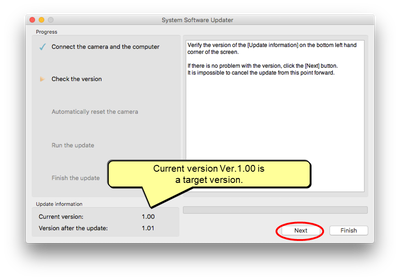 The system software version is displayed.